We all love coffee. That’s why we’re here. And because we love it, we want to learn all about it. But as straightforward as it looks, there’s a lot to learn about our delightful brew, and more coming up every day. It’s hard to keep up. There used to be a couple of brewing methods around, now there are dozens. Espressos and cappuccinos where the only options at the corner coffee shop, now their menu is as extensive as the wine list in a fancy restaurant. Don’t get me wrong, it’s all wonderful. But as we try to get our Aeropress to work, and go nuts trying to source some Black Ivory Coffee or Kopi Luwak, we seem to forget about the basics; things like proper roasting or right water temperature. Today we’ll talk about why using freshly ground coffee is better. Something we might take for granted, but don’t quite know why. Even the snobbiest of baristas will struggle to give a straight answer. Fresh ground coffee is not only better, but as you will see, it’s the only way to go. So, let’s get on with it. Coffee is a delicate being. After it’s stripped from its outer skin and roasted, it’s naked. It’s fragile. It’s exposed to its greatest enemies: Water, Wind, and Fire. So, water is the enemy? Isn’t water indispensable to make coffee? Of course, it is, but as your coffee beans seat on the counter, long before they meet their [coffee] maker, water is already present, in the form of moisture. Humid beans rapidly give up their flavorful oils as they dilute and deteriorate. Ambient moisture will decrease the condition of your coffee fast, depending on where you live, of course. It will not only reduce the flavors you love but might just add some new flavors to your brew, and you won’t appreciate those. The effect is much more significant in ground coffee, more of it is exposed to ambient humidity. Whole beans stand a better chance of fighting back humidity while their centers remain virtually unharmed. This is ONE of the reasons you want to ground your coffee at the last minute. Keep in mind that either way, you should always keep your coffee in a nice, dry place preferably in an airtight jar, or vacuum sealed bag. Also check constantly the date printed in the pouch, the older the coffee, more are the chances they get affected by moisture. Air is the second enemy of coffee. The flavors and aromas you love, come from coffee’s volatile compounds, complex molecules that form during the roasting process. These molecules can be easily destroyed in contact with oxygen. Oxidation is, in part, one of the biggest reasons why fresh coffee in general tastes better than one prepared from stale beans. Once again, ground coffee protects its inner self from oxygen better than in its pulverized form. This is the reason your pre-ground coffee comes in vacuum sealed bags (at least it should), but once you open the bag, oxidation kicks in. Actually, oxidation begins as soon as the beans are roasted, so using recently roasted coffee is a good idea too. After roasting, coffee beans end up with a lot of CO2. Since the beans are porous, this gas manages to hang in for a while, unless you grind it! Co2 is essential to transfer the flavors and aromas from the bean to the hot water during the brewing process. Did you know darker roasts lose Co2 faster than lighter roasts? As you can see, oxidation and ambient humidity team up to ruin your morning cup of coffee. The least you can do is ground your coffee just before brewing. I might have been overly dramatic by saying fire is the third enemy of coffee beans, how badly can they get burned? They’ve already been roasted, after all. When I say fire, I’m talking about the radiance from the sun. Both light and heat have a significant impact on your coffee, sitting there on the counter, silently watching you read this. Direct sunlight will degrade the aromatic compounds and strip away its flavors in the same way it leaches the color of an old t-shirt. Having sunburned beans is terrible and happens in your kitchen; which is entirely different from having sun-dried beans, which are good, and happen in the tropical fields of Colombia. Coffee beans can also be degraded by heat. They go stale faster. Heat actually accelerates oxidation and speeds up the evaporation of aromatic compounds. Great, I’ll just store my coffee in the fridge where there’s no sunlight or heat. Wrong. Unless you store it in an airtight container, you’re killing your coffee. 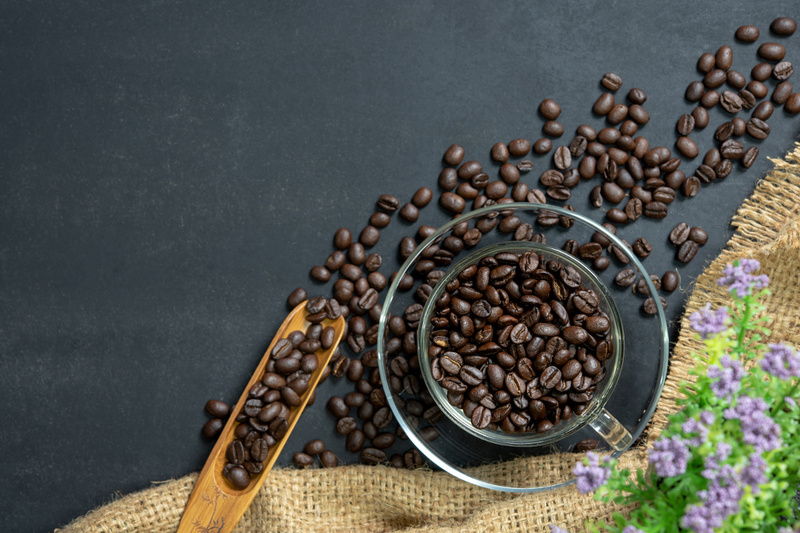 Both whole coffee beans and ground coffee absorb the aromas from the environment, including last night’s curry and the cloves of garlic forgotten in the back of your fridge. As you see, coffee has plenty of enemies already, but they all work for its greatest threat. An old enemy that is: Time. Everything, from oxygen to moisture, from light to heat will have more impact through time. If you like buying pre-ground coffee, that’s OK, if you employ it in a few weeks. Even whole beans will eventually give in to staleness. So now you know, in a nutshell, here are the four things you need to do to always get the best possible brew. Buy freshly roasted whole beans. They have the best flavor and are in pristine conditions. Keep your beans in a cool dark place to prevent light and heat deteriorating them. Store your beans in a vacuum sealed bag or airtight container. Keep oxygen and humidity at bay. Grind your beans before use. Now you know why. There’s always something new to learn, especially when it comes to coffee. So, carry on, brew a hot one and have a nice day.